Please help...my 13 yr old Paso Fino horse (I have had her since March /02) has started to bolt when I bring her to the field. She bolts straightaway...before I undo her lead to the halter. How can I change this before it becomes a much bigger problem? Having a horse that is impatient to get away when you release it is both annoying as all get out and dangerous. It can take off with you still connected to it or it can give you a parting shot as it leaves. Anything other than standing there and waiting for you to release it and then casually walking away, if it does at all, is unacceptable. Your horse is not halter broke. Sure, you are able to get the halter on her and lead her from one place to another but she is not halter broke. The first thing I would do with it is put it through the Bonder. 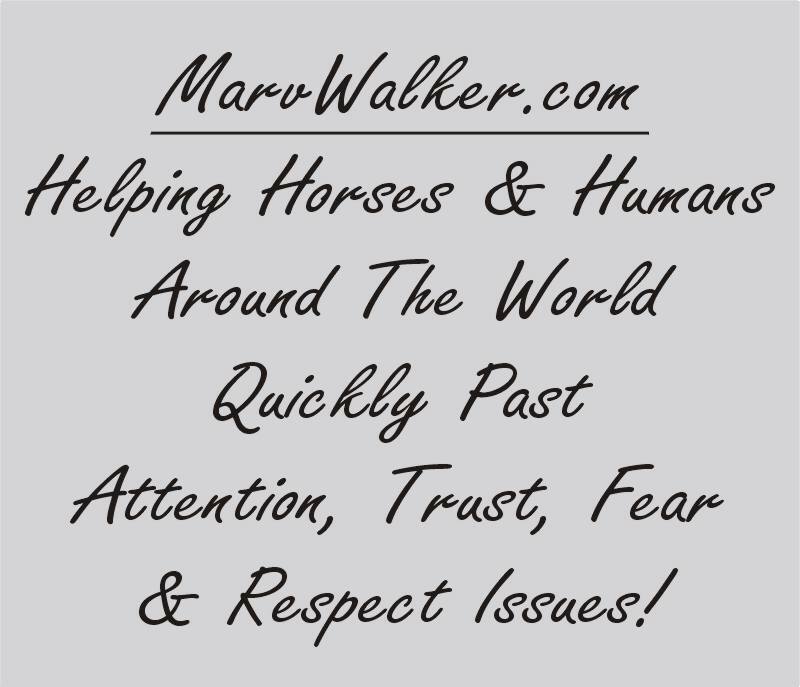 This will go along way toward helping you get more control of the horse. For a free copy of the Bonder send any email to my autoresponder, Bonder@MarvWalker.com. In a few moments you'll receive an automated message telling you some things I want you to know as well as the Bonder's current location. Once you have put her through the bonder you may want to practice removing and replacing the halter. Afterwards take her to the turnout and just stand there until she calms if she is isn't. Once she calms SLOWLY start to take the halter off and at the SLIGHTEST sign of impatience, put it back on, wait until she calms and then start over. A little extra time insisting she stand until you get the halter off pays huge dividends. Horses get the idea fairly quickly. From your email I get the idea you are releasing this horse with the halter on. Leaving the halter on a free-ranging horse is very risky. The halter can get snagged on something, snagged by another horse during play or disagreements or by the horse scratching itself with its hoof. At the very least something like this will seriously injure your horse and may even cost it its life. Using the Bonder procedure in a contained area will allow you to halter break the horse. 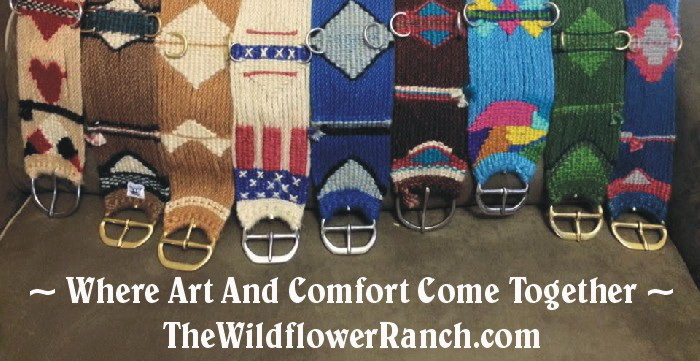 You will want to teach it to allow you to put the halter on and remove it at your own speed. If the horse does not allow you to halter as you see fit send her out for a couple of reminder laps and then try again. When you take the horse to the pasture to release it you will want to make sure you release it in the safest manner. When you remove the halter as we discussed earlier, bend the horse's head into you to start the hind quarters moving away from you then just slip the halter off and step off in the same direction the horse is bent and put distance between you and it.